The CQR EPA-NG Plus is one of the most sophisticated Hold-Up device available to installers today. This cutting edge device can help professional installers meet PD6662 as a confirmed PA. 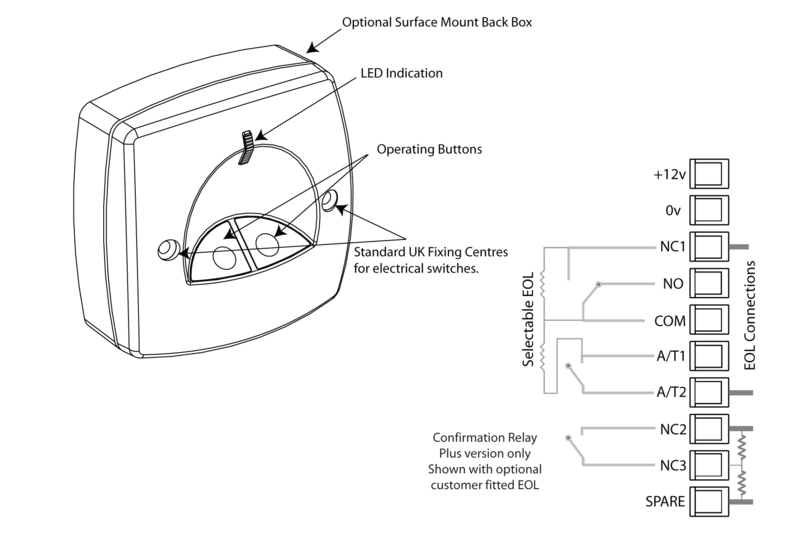 This feature packed device has a jumper selection which allows installers to choose between confirmed and non-confirmed mode. In confirmed mode this CQR EPA-NG Plus can be used to regain police response in premises where it may have been lost. 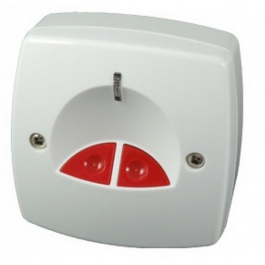 This security product greatly reduces the risk of false alarms as there is a time delay between the sending of two sequential, separately identifiable alarm signals. This ergonomically designed piece of security equipment makes it easy for users to locate the buttons and use. In the non-confirmed mode this unit works like a traditional electronic panic attack button that can be activated with one or two buttons, latching or non-latching, Selectable End-Of-Line Resistors or No EOL, Timed Return Facility, keyless reset as well as being able to be mounted Semi-Flush or Surface.